Irene Loves Elephants: August 5th Who Remembers These? 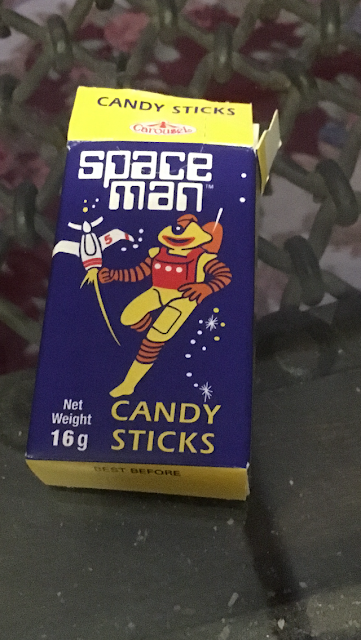 I can remember buying these Candy Sticks many years ago. They used to be candy cigarettes, and we thought it so cool pretending to smoke our candy cigarettes. Obviously that is very, very un-PC nowadays, and all they are now is a white candy stick. Also they are extremely sickly sweet. But I had no idea they were still being manufactured and on the market - with no red tip, so all they now resemble is a long skinny piece of chalk. These weren't mine, but I did get to taste one, and had to take a photo of the box (which is the same) for old times' sake.